Working together to bring cancer-screening facilities and treatment to people in India. Become a World Cancer Care volunteer, give something back. Read how we have transformed the lives of people in India. The support of volunteers is integral to the efforts of World Cancer Care to reduce the impact of cancer on our communities. Whether it's minutes or months, hours or days, the time you give really does matter. Your donation really can turn a life around. 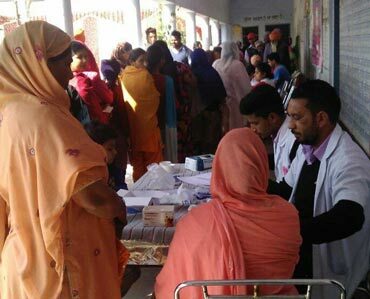 Donate today and help us continue our work with early cancer detection and awareness through medical camps in India. World Cancer Care are a global organisation working together to bring cancer awareness, education and screening facilities to people in India who wouldn’t otherwise have access to such services. Many people simply can’t afford to visit a doctor for a simple physical exam or screening appointment, and many live too far away from the hospitals and surgeries which could provide life-saving cancer checks. 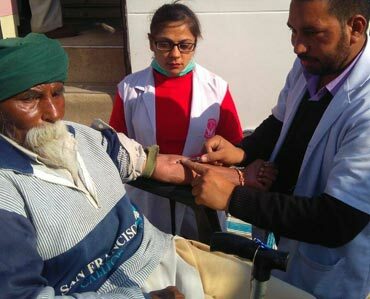 Our fully converted, mobile cancer-screening vehicles and pop-up medical camps can access remote villages and areas of India to offer these services to people in need. We also provide counselling for patients who are diagnosed with cancer through our connections with medical experts and Government hospitals. PEOPLE HELPED BY WCC SO FAR. Knowing about other people’s personal experience of cancer can be a source of support and inspiration when you or someone you love is going through cancer treatment. 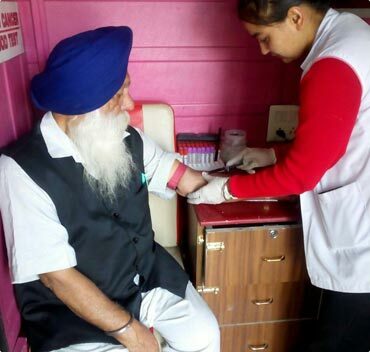 World Cancer Care did a cancer screening camp at my village on 25th May 2015, and they did many cancer tests for us free of cost, and also made us aware of cancer through talks, videos, and leaflets. 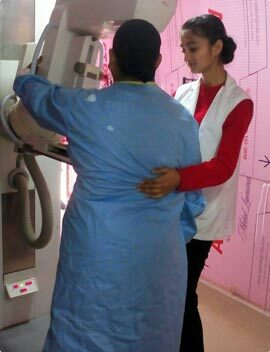 I heard about World Cancer Care camp at my village and I went there because I was worried about my breast lump, but I did not tell anyone about it before due to ignorance about cancer. Our area is prone to cancer and is called the Malwa Cancer belt. 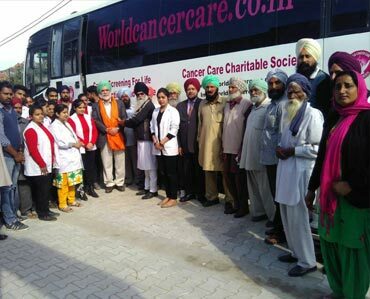 In February 2016, World Cancer Care did a camp at my village Talewal Barnala, and at this time I discussed my prostate problem. More than 1,300 people die from Cancer in India every day. See how, with your help and support, World Cancer Care are transforming lives in India. 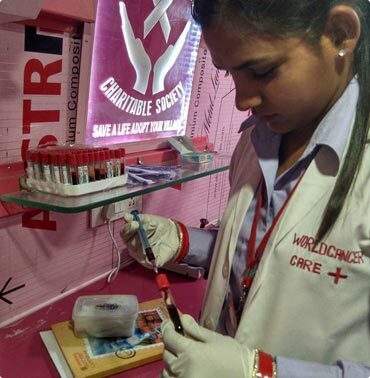 World Cancer Care are a UK registered charity and global organisation working together to bring cancer-screening facilities and treatment to people in India. Cancer is the toughest fight most of us will ever face. But no one should go through it alone without the money, time and energy of our supporters, we couldn't help people facing the toughest fight of their lives but we can try to save them earlier. Be A Part of World Cancer Care and Save A Life. Copyright © 2017 World Cancer Care. All Rights Reserved. Registered UK Charity number 1165897. Address 41 York Road, Ilford, Essex IG1 3AD.